Maynard Art Show: For those of us based in New England, this is “our neck of the woods”. In this winter photograph, snow blankets much of the land. The familiar hook of Cape Cod juts into the deep blue waters of the Atlantic Ocean. In the middle left, Lake Ontario peeks out under a layer of clouds, and Lake Erie is covered by ice. (Why is only one lake frozen?) 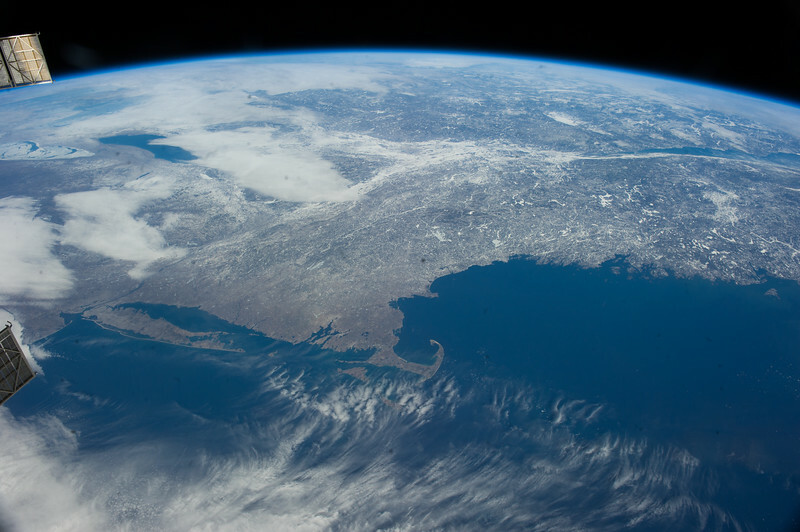 Perhaps most strikingly, we see the curvature of Earth, and the oh-so-thin atmosphere, reminding us of our role as stewards of this wonderful home planet.